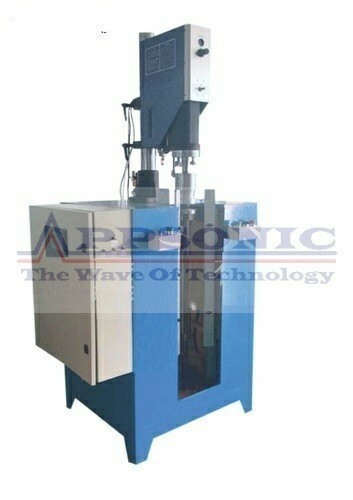 Leading Manufacturer of ultrasonic plastic welding machine for blower & cross fan from New Delhi. Ultrasonic Cross Fan / Blower Welding Machine is specialized used in Cross Fan welding . this machine can improve the produc_on rate and make sure the products quality, save cost. Widely usd for different types Cross fans, easy to adjust. The machine uses precision rolling screw and linear guides as the action parts, ensure the of precision and durability of the device. Work together to complete the cycle by HMI and (PLC) and servo systems, After the workpiece placed on the work surface clamp, can be automatically clamped, welded, loosened, moved, and all other processes, the operation is extremely simple. Looking for “Ultrasonic Blower Fan Welding Machine”?